Many hours north of Tel Aviv, northernmost Golan is a lush, beautiful region. Fed by streams coursing down from the winter snows of Mt. Hermon, it provides ideal territory for us. Water, butterflies and very few people around. June that year was near perfect. Wildflowers were in full color and they were pumping nectar. The butterflies were heady with so many choices of sippy nectar to choose from. The males were especially ecstatic, with the prospect of partying at almost every good spot they could fly to. My conclusion is that our Cyaniris a. here is a female. We’ve noted that the field guides we’ve found in Israel are all written in Hebrew . . . so we’ll not know now what she is feeding at. 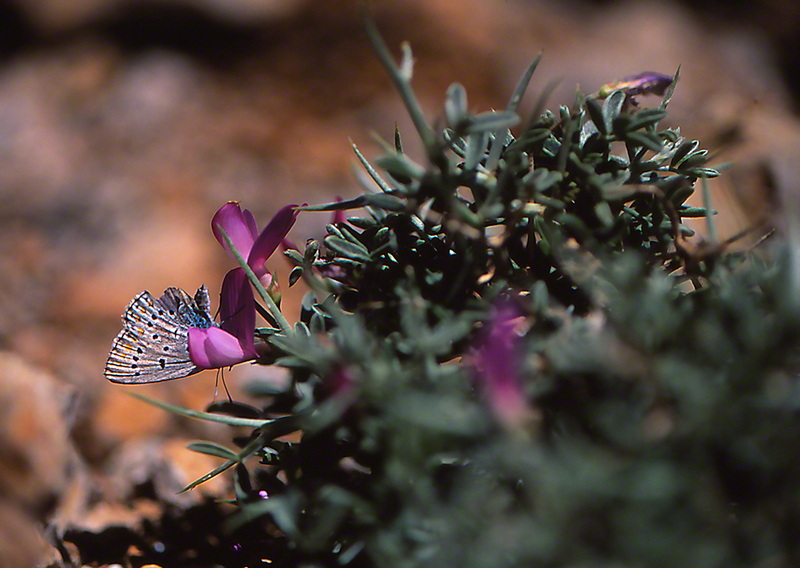 Found in limited territory, this butterfly flies from April to early June, when we met her.